It's Thursday, it's Live Update day. Albeit not including adjusted player ratings in the buildup to the upcoming PES 2015 Data Pack 4.00, today's PES 2015 Live Update brings squads and lineups of all PES 2015 teams up-to-date. 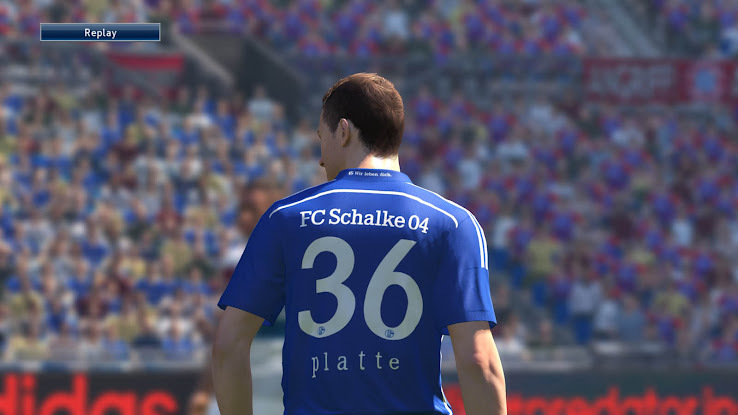 More than 25 new players are added to PES 2015 with today's update. Jermaine Pennant, once a promising young player at Liverpool, who joined Wigan Athletic on February 21, has been added to the Championship team, while former Monaco and Senegal striker Ibrahima Touré has been placed at Eredivisie's Dordrecht in error by Konami, probably mistaking the team's 20-year-old midfielder of the same name. Former Hoffenheim winger Jiloan Hamad is now available at Standard de Liège, as is Felix Platte of Schalke, a young center forward who left a mark hitting the crossbar in Schalke's Champions League match against Real Madrid. Additional to the added players, today's Live Update also includes 46 transfers to update PES 2015 teams' rosters.